Pearl barley is so often associated with winter as it’s popular in soups, but don’t just save it for the colder months because this gorgeous grain is also brilliant in salads. 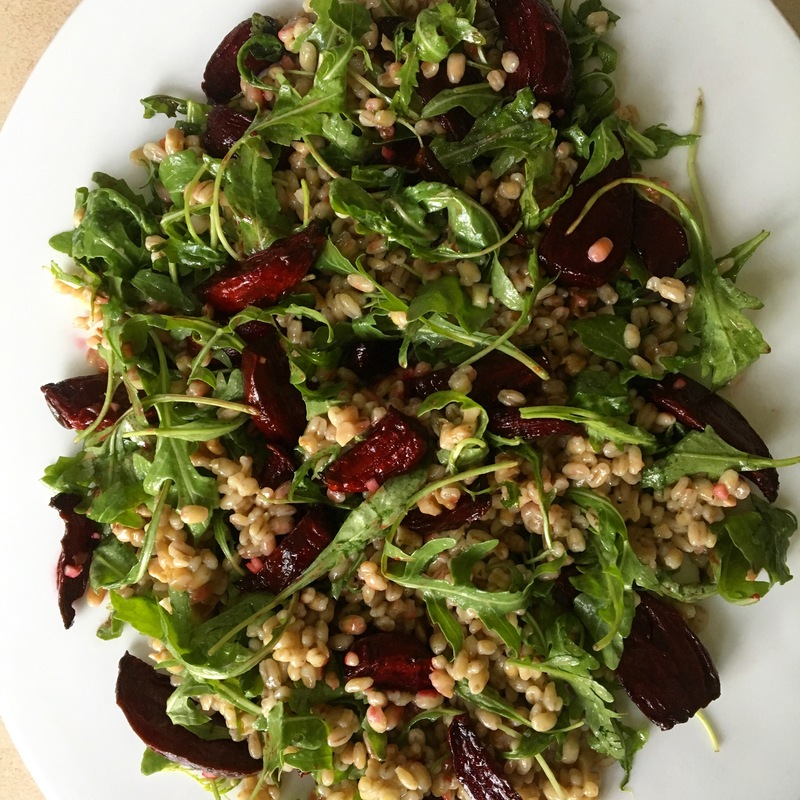 It pares beautifully with the earthy flavour of beetroot in this filling Pearl Barley and Beetroot Salad. I like to roast the beetroot when I have something else in the oven cooking, just because rather than pay to put the oven on twice it’s great to forward plan and pack as much in possible when it’s already likely to be on. Don’t let cooking the barley from it’s dried state worry you – think of it as nothing more than making rice! It’s such a bargain grain and is packed with B vitamins and minerals hard to find in a lot of grains and is lower in calories and higher in fiber and nutrients than many other grains. 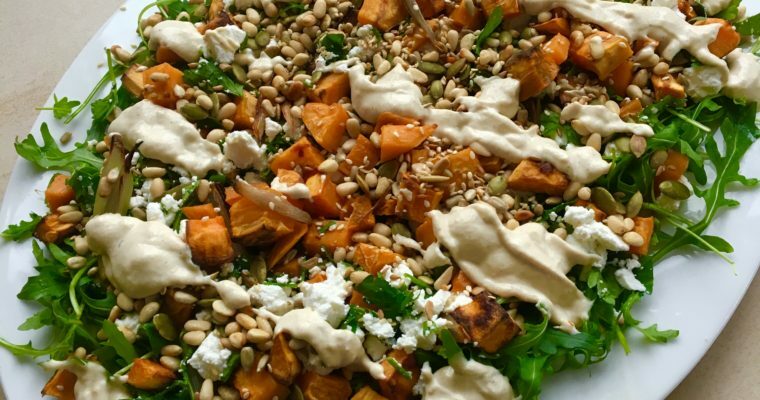 This salad is best served on a platter because it’s not one to be tossed. As you will see, I have suggested it’s layered in two parts. This is because the juice from the beetroot will migrate a little to the rest of the salad once it has dressing on it. If you don’t mind your salad purple then toss away! I would also suggest you don’t use pre-cooked beetroot as the texture of roasted is so much nicer and the ‘crust’ formed by roasting also reduces the migration of the juices. Step 1 Rinse the pearl barley in some cold water. Place in a pan and cover with double the amount of cold water, crumble in a stock cube and bring to the boil. Vigorously simmer without the lid for around 30mins, add a little more water if it gets dry, it should be cooked but not mushy. If there is any excess fluid after cooling then drain. Step 2 Peel the beetroot and cut into evenly sized wedges or generous chunks. Spread on a baking tray and spray with a little oil. Roast for 200°C/400°F/gas 6 for 25-30mins. They need to be soft throughout. Step 3 While the barley and beetroot are cooking make the dressing as it needs at least 20mins for the flavours to mix. Combine the ingredients and shake well. Leave to mingle and re-shake well before mixing the salad. Step 4 When the barley is cool mix in the walnuts and rocket, cover in half the dressing and mix well. In a separate bowl pour half the remaining dressing over the beetroot. 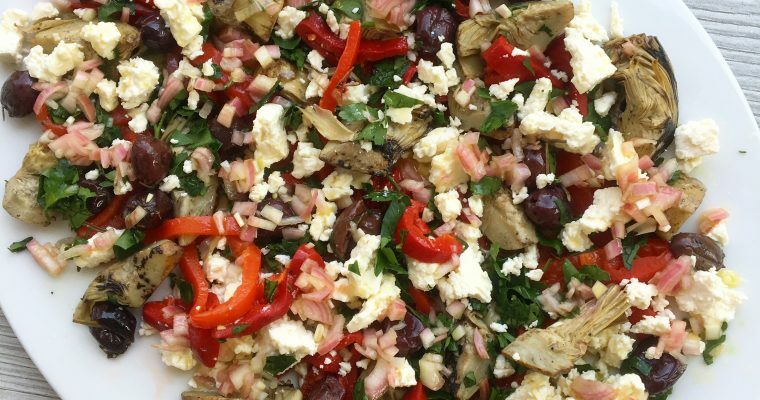 Now lay half the barley salad on a plate, place over half the beetroot wedges and sprinkle the rest of the barley salad over before placing the remaining beetroot over, discard any of the now purple dressing left in the bowl. Step 5 Drizzle over the remaining dressing and serve immediately.